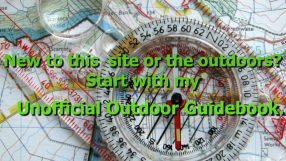 There are many choices of clothing that an outdoors person can wear for not just rain protection but wind or snow protection as well. With so many options, it can become confusing as to what may work for you and your chosen activity. This article will hopefully break down the choices a bit more. Perhaps even make it a little less confusing to understand what may work for you. As with previous articles, I am not going to discuss specific pieces of gear, but rather the types. Overall, I find that while gear manufacturers and specific models may come and go, the general types of gear tends to stay the same. A surplus nylon poncho (eBay affiliate link) from the local Army-Navy store may be more substantial and come in cammo, but is functionally no different from the DCF (cuben fiber) poncho sold by the cottage gear makers. With no further ado, here is what I consider the basic categories of hard shell type gear. Bordering more on the soft shell side (such as the classic Marmot DriClime) in many cases, the wind shell-type clothing tends to be more breathable than traditional shells. More water resistant than waterproof, it works best for a light drizzle, fog and wind esp during highly aerobic activity. The old-school unlined windbreaker used on your high school track team is not far removed from this type of gear. This piece of gear tends to be very light. As my legs pump out a lot of body heat while hiking, this is my preferred layer for pants. Many people like this type of gear as their only shell for highly aerobic activities such as winter backpacking or ski touring. In cold, dry conditions the breathability of this type of shell is highly desirable and is what I use as my shell during the day for winter. Best for: Aerobic activities on the go, for wind protection and during a light drizzle. Cold and dry conditions, too. A backcountry staple for many years. Many people love ponchos as they vent extremely well and can be multi-use: Rain gear, a pack cover, a shelter or a ground cloth when “cowboy camping”. This classic runs the gamut from thick rubber ponchos found at “big box” stores to highly specialized and lightweight ponchos found from cottage gear makers. I’ve tried ponchos, but never cared for them. Being on the shorter side (5’6″), find that the poncho got caught up around my legs and hiking poles too easily. Still, the versatility, weight savings, and easy venting make them an attractive option for many. 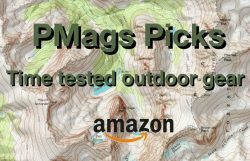 Best for: Non-windy areas and for those who want perhaps a versatile and (potentially) weight and a cost-saving piece of gear. The bomber shell with thick material, big and beefy zippers, wide pit zips and can take whatever Ma Nature throws at you. The problem? Not many of us are climbing K2. 🙂 Despite the Gortex lining found in the most gear of this type, the mountaineering shells tend to make the average person overheat in all but the absolute coldest and driest conditions. The jacket is heavy and bulky too. Unless you are wearing the jacket and pants the whole time, you have to schlep the thing up and down the mountain. Note that most climbers rarely take this type of shell, either. The happy medium regarding weather protection. If I had to buy just one jacket/pants, it would be of this type. Relatively light ( 12 oz +/- for the men’s jacket, 9 oz +/- for the pants), reasonably durable and water resistant. Many pieces of the gear of this type have pit zips and Goretex or similar laminate. The result? The jackets are breathable for up to moderate aerobic activity. Not terribly expensive, either. In short, the all-around clothing for many conditions. A classic example in this class is the Marmot Precip. There are lighter, more breathable, more “bomber” and more versatile shell-types, but this type tends to be a good overall “go to” piece for most people. Best for: All around use be it three-season backpacking and hiking, winter touring, or even around town. Size up if used in winter with bulky clothing. The downside? Not very durable. The pants in particular! I would not take these for bushwhacking or off-trail hiking with rough terrain, climbing, or backcountry skiing. This jacket is not the best choice for constant rain gear either IMO. On trail? They work well as occasional use rain gear. At $20 for a set, affordable too. More of an supplement to, rather than a replacement for, standard gear, an umbrella is a popular choice for many people. Many people use the umbrella as their main piece of equipment in conjunction with wind shells. During the daily Colorado summer thunder storms, an umbrella is a great place to have your own shelter while taking a break, too. Obvious disadvantages are for use in high winds, getting snagged in trees or brush, and extra weight to carry. If you are a pole user, you will need to stash your pole(s) while using an umbrella. Best for: Rain and sun protection in non-windy and non-brushy environments. 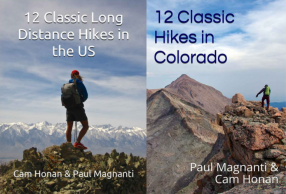 May be better for those who do not hike with poles. There are of course other types beyond what is covered in this document and some pieces of gear fall in-between my broad categories. But, I feel the above is a good representation for general outdoor use. As always, what you are doing depends on the choice of gear. Note that you can mix and match the types, too. For general backpacking, I take my wind pants because they are durable, light and breathable and couple it with the appropriate jacket (A heavier or lighter shell). Many people will also pack a wind shirt and take a light rain jacket to swap as conditions warrant or combine with an umbrella with other gear. My buddy d-low will carry an umbrella to supplement his gear, too. –Frogg Toggs makes a poncho that some may want to look at. Same basic advantages of the suit–light & cheap–with the advantages of a poncho. I’ve enjoyed mine in warm & humid conditions. Could not agree more about the Frogg Toggs Poncho. SoCal doesn’t get that much rain but when it does, I love the poncho. I had to get used to doing every thing under the poncho but that took about 15 nano seconds. How versatile. And it covers my pack. I don’t use but one hiking stick and that rather seldom. So sometimes I take my Six Moons design umbrella.